CARFAX 1-Owner, GREAT MILES 16,319! Navigation, Heated/Cooled Leather Seats, Running Boards, Flex Fuel, Premium Sound System CLICK ME!KEY FEATURES INCLUDELeather Seats, Navigation, 4x4, Heated Driver Seat, Heated Rear Seat, Cooled Driver Seat, Back-Up Camera, Running Boards, Flex Fuel, Premium Sound System, Satellite Radio, iPod/MP3 Input, Onboard Communications System, Aluminum Wheels, Remote Engine Start MP3 Player, Privacy Glass, Keyless Entry, Child Safety Locks, Steering Wheel Controls. EXPERTS ARE SAYINGEdmunds.com's review says "The brake pedal feels reassuringly firm and easy to modulate in everyday driving, and the brakes feel just as capable when the bed is loaded with cargo.". Great Gas Mileage: 22 MPG Hwy. PURCHASE WITH CONFIDENCECARFAX 1-Owner WHO WE ARENorth Park Volkswagen of Dominion is located at 21315 West Interstate 10, just east of Friedrich Park. Volkswagen is widely recognized for quality, reliability, value, and an award-winning commitment to customer satisfaction. Our state of the art dealership has the largest VW inventory in Central Texas. Visit us at www.northparkvw.com to schedule an appointment with one of our VW Experts. Please confirm the accuracy of the included equipment by calling us prior to purchase. GREAT MILES 18,710! Raptor trim. NAV, Alloy Wheels, Turbo, Running Boards, 4x4, WHEELS: 17" CAST ALUMINUM, Tow Hitch. SEE MORE!KEY FEATURES INCLUDE4x4, Running Boards, Turbocharged, Trailer Hitch Child Safety Locks, Electronic Stability Control, Bucket Seats, Electrochromic rearview mirror, Brake Assist. OPTION PACKAGESEQUIPMENT GROUP 802A LUXURY LED Box Lighting, Inflatable Rear Safety Belts, 360 Degree Camera, Remote Start System w/Remote Tailgate Release, Universal Garage Door Opener, Integrated Trailer Brake Controller, Blind Spot Information System (BLIS), cross-traffic alert and trailer tow monitoring (BLIS sensor in taillamp), Power-Sliding Rear Window, privacy tint and defrost, Power-Adjustable Pedals, 8" Productivity Screen, Voice-Activated Touchscreen Navigation System, pinch-to-zoom capability, SiriusXM Traffic and Travel Link, Note: SiriusXM Traffic and Travel Link includes a, SiriusXM Traffic and Travel Link service is not available in Alaska or Hawaii, SiriusXM audio and data services each require a subscription sold separately, or as a package, by Sirius XM, TRANSMISSION: ELECTRONIC 10-SPEED AUTOMATIC terrain management modes: normal/baja/rock crawl/sport/mud-sand/wet-snow and tow-haul mode (STD), WHEELS: 17" CAST ALUMINUM same spare (STD). EXPERTS RAVE"The brake pedal feels reassuringly firm and easy to modulate in everyday driving, and the brakes feel just as capable when the bed is loaded with cargo." -Edmunds.com. BUY FROM AN AWARD WINNING DEALERNorth Park Volkswagen of Dominion is located at 21315 West Interstate 10, just east of Friedrich Park. Volkswagen is widely recognized for quality, reliability, value, and an award-winning commitment to customer satisfaction. Our state of the art dealership has the largest VW inventory in Central Texas. Visit us at www.northparkvw.com to schedule an appointment with one of our VW Experts. Please confirm the accuracy of the included equipment by calling us prior to purchase. CARFAX 1-Owner. iPod/MP3 Input, Satellite Radio, CD Player, Smart Device Integration, Onboard Communications System, Alloy Wheels AND MORE!KEY FEATURES INCLUDE4x4, Back-Up Camera, Flex Fuel, Satellite Radio, iPod/MP3 Input, CD Player, Onboard Communications System, Trailer Hitch, Aluminum Wheels, Smart Device Integration. MP3 Player, Keyless Entry, Privacy Glass, Steering Wheel Controls, Heated Mirrors. EXPERTS CONCLUDEEdmunds.com's review says "Thanks to its stout engine and chassis, the F-250 is capable of taking on just about anything. Whether it's hauling heavy loads or taking the family to dinner, the Super Duty impresses with its smooth ride and responsive powertrain.". BUY WITH CONFIDENCECARFAX 1-Owner WHY BUY FROM USNorth Park Volkswagen of Dominion is located at 21315 West Interstate 10, just east of Friedrich Park. Volkswagen is widely recognized for quality, reliability, value, and an award-winning commitment to customer satisfaction. Our state of the art dealership has the largest VW inventory in Central Texas. Visit us at www.northparkvw.com to schedule an appointment with one of our VW Experts. Please confirm the accuracy of the included equipment by calling us prior to purchase. CARFAX 1-Owner. Heated Leather Seats, Sunroof, NAV, 4x4, Turbo, Bed Liner, ENGINE: 3.5L V6 ECOBOOST, MAX TRAILER TOW PACKAGE CLICK NOW!KEY FEATURES INCLUDELeather Seats, Navigation, 4x4, Heated Driver Seat, Heated Rear Seat, Cooled Driver Seat, Premium Sound System, Satellite Radio, iPod/MP3 Input, Bluetooth, Remote Engine Start, Dual Zone A/C, Smart Device Integration, WiFi Hotspot, Heated Seats MP3 Player, Keyless Entry, Privacy Glass, Child Safety Locks, Steering Wheel Controls. OPTION PACKAGESEQUIPMENT GROUP 601A LUXURY Inflatable Rear Safety Belts, Multi-Contour Driver & Passenger Seats, Blind Spot Information System (BLIS), cross-traffic alert and trailer tow monitoring (BLIS sensor in LED taillamp), Tailgate Step w/Tailgate Lift Assist, Power-Deployable Running Boards Replaces step bar, Wheels: 20" Machined-Aluminum, light Caribou painted pockets and Caribou wheel ornament w/Caribou King Ranch logo, Auto High Beam w/Rain-Sensing Windshield Wipers, Tires: P275/55R20 OWL Automatic Transmission, 275/65R 18 OWL all-terrain spare tire, TWIN PANEL MOONROOF, MAX TRAILER TOW PACKAGE max towing capability up to 12,200 lbs, and upgraded rear bumper, Note: Ordering the Max Trailer Tow Package does not include Trailer Tow Mirrors, Trailer Tow Mirrors are a standalone option and must be ordered separately, (Option Code: 54M or 54Y/59S), Auxiliary Transmission Oil Cooler, Pro Trailer Backup Assist, Electronic Locking w/3.55 Axle Ratio, Engine Oil Cooler, Upgraded Front Stabilizer Bar, Extended Range 36 Gallon Fuel Tank, TECHNOLOGY PACKAGE Lane-Keeping System, 360 camera w/split-view display and dynamic hitch assist, ENGINE: 3.5L V6 ECOBOOST auto start/stop, TRANSMISSION: ELECTRONIC 10-SPEED AUTOMATIC tow/haul mode and sport mode, SPRAY-IN BEDLINER (PRE-INSTALLED) Custom Accessory. CARFAX 1-Owner MORE ABOUT USNorth Park Volkswagen of Dominion is located at 21315 West Interstate 10 Please confirm the accuracy of the included equipment by calling us prior to purchase. Nav System, Heated/Cooled Leather Seats, Hitch, Back-Up Camera, Aluminum Wheels, 4x4, Turbo Charged Engine, CHROME PACKAGE CLICK NOW!KEY FEATURES INCLUDELeather Seats, Navigation, 4x4, Heated Driver Seat, Cooled Driver Seat, Back-Up Camera, Premium Sound System, Satellite Radio, iPod/MP3 Input, Onboard Communications System, Trailer Hitch, Aluminum Wheels, Remote Engine Start, Dual Zone A/C, Smart Device Integration MP3 Player, Keyless Entry, Privacy Glass, Steering Wheel Controls, Electronic Stability Control. OPTION PACKAGESENGINE: 6.7L 4V OHV POWER STROKE V8 TURBO DIESEL B20 4 valve OHV, manual push-button engine-exhaust braking and intelligent oil-life monitor, 34 Gallon Fuel Tank, Extra Heavy-Duty 220 Amp Alternator, 3.31 Axle Ratio, Dual 78-AH 750 CCA Batteries, CHROME PACKAGE Wheels: 18" Chrome PVD Aluminum, light caribou wheel ornaments w/King Ranch logo, Unique Chrome Mirror Caps, 6" Angular Chrome Step Bars, Chrome Front & Rear Bumpers, Body-Color Door Handles w/Chrome Insert, Chrome Exhaust Tip, ELECTRONIC-LOCKING W/3.55 AXLE RATIO, TRANSMISSION: TORQSHIFT 6-SPEED AUTOMATIC (6R140), SelectShift, TIRES: LT275/65RX18E BSW A/S (STD). 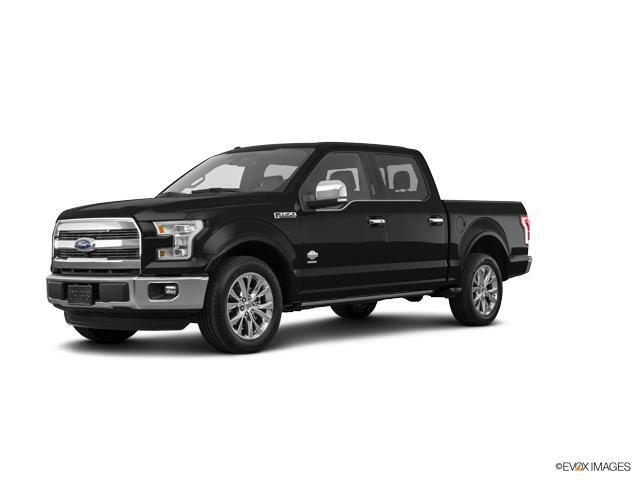 Ford King Ranch with Shadow Black exterior and Java interior features a 8 Cylinder Engine with 440 HP at 2800 RPM*. EXPERTS ARE SAYING"Out back, both long- and short-bed models use aluminum that is 20 percent thicker than that of F-150 and backed by more substantial crossmembers to better withstand heavy use." -Edmunds.com. WHO WE ARENorth Park Volkswagen of Dominion is located at 21315 West Interstate 10, just east of Friedrich Park. Volkswagen is widely recognized for quality, reliability, value, and an award-winning commitment to customer satisfaction. Our state of the art dealership has the largest VW inventory in Central Texas. Visit us at www.northparkvw.com to schedule an appointment with one of our VW Experts. Please confirm the accuracy of the included equipment by calling us prior to purchase. CARFAX 1-Owner, LOW MILES - 26,448! Sunroof, Heated/Cooled Leather Seats, Navigation, 4x4, Turbo Charged, Alloy Wheels. CLICK NOW!KEY FEATURES INCLUDELeather Seats, Navigation, 4x4, Heated Driver Seat, Cooled Driver Seat, Back-Up Camera, Premium Sound System, Satellite Radio, iPod/MP3 Input, Onboard Communications System, Trailer Hitch, Aluminum Wheels, Remote Engine Start, Dual Zone A/C, Smart Device Integration MP3 Player, Privacy Glass, Keyless Entry, Steering Wheel Controls, Electronic Stability Control. OPTION PACKAGESENGINE: 6.7L 4V OHV POWER STROKE V8 TURBO DIESEL B20 4 valve OHV, manual push-button engine-exhaust braking and intelligent oil-life monitor, 34 Gallon Fuel Tank, Extra Heavy-Duty 220 Amp Alternator, 3.31 Axle Ratio, Dual 78-AH 750 CCA Batteries, KING RANCH ULTIMATE PACKAGE Twin Panel Power Moonroof, map lights and moonroof switches, Multi-Contour Seats, Power-Deployable Running Boards, Blind Spot Information System (BLIS), cross-traffic alert and trailer tow (BLIS sensor in taillamp), Tailgate Step & Handle, Quad Beam LED Headlamps & LED Taillamps, LED fog lamps and LED Center High-Mounted Stop Lamp (CHMSL), ELECTRONIC-LOCKING W/3.31 AXLE RATIO, TRANSMISSION: TORQSHIFT 6-SPEED AUTOMATIC (6R140), SelectShift. Ford King Ranch with White Platinum Metallic Tri-Coat exterior and Java interior features a 8 Cylinder Engine with 440 HP at 2800 RPM*. VEHICLE REVIEWSEdmunds.com explains "Out back SHOP WITH CONFIDENCECARFAX 1-Owner VISIT US TODAYNorth Park Volkswagen of Dominion is located at 21315 West Interstate 10, just east of Friedrich Park. Volkswagen is widely recognized for quality, reliability, value, and an award-winning commitment to customer satisfaction. Our state of the art dealership has the largest VW inventory in Central Texas. Visit us at www.northparkvw.com to schedule an appointment with one of our VW Experts. Please confirm the accuracy of the included equipment by calling us prior to purchase. If you're in the market for a new or new-to-you car, it's time to visit North Park Volkswagen in San Antonio, TX. With impressive inventories of new, used and certified pre-owned Volkswagen vehicles, there's something for everyone on our lot. Visit our Volkswagen dealership near Boerne, TX, to find the used Used Ford vehicle of your dreams! Whether you want a zippy little sedan like the Volkswagen Jetta or are more interested in an SUV like the VW Tiguan, our helpful and friendly sales staff will work with you to narrow down your options and select a vehicle that hits every point on your checklist. 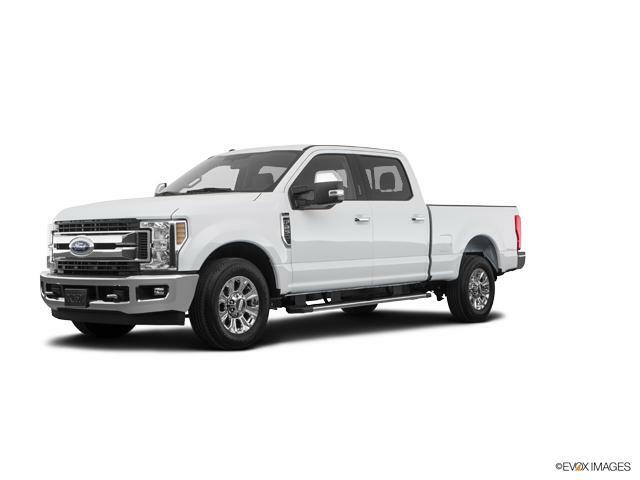 Don't hesitate to reach out at any time to learn more about the used Used Ford vehicles we have for sale here in San Antonio, or the specials we're currently offering.